Popularly known as "Chicago&apos;s Front Yard," Grant Park is a 319-acre public green space in the heart of Chicago’s central business district, "The Loop." A city centerpiece much like New York’s Central Park, Grant Park is home to some of Chicago&apos;s most iconic landmarks and attractions, as well as the site of some of the city&apos;s biggest events, including Taste of Chicago and Lollapalooza. Visit Transit Chicago for directions on how to get there. Art, ecology and entertainment in one beautiful green space. Visit Chicago's most photographed fountain, and soak in at its spectacular light and water displays. Visit one of the top four museums in the world. 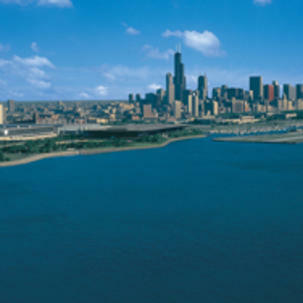 The Field Museum, Shedd Aquarium and Adler Planetarium combine forces to bring you fun and knowledge. Lake views and sandy beaches to one side, green space and city skylines to the other. Need we say more? 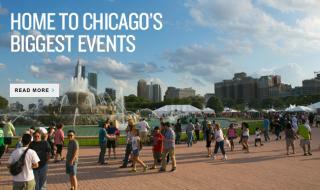 Music, food and culture characterize summer in Chicago's front yard. Sculpture and interactive installations make Grant Park an outdoor, living art gallery. 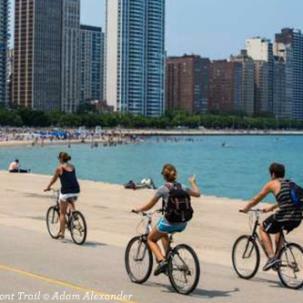 Climb the heights of the fit and healthy you at Grant Park.